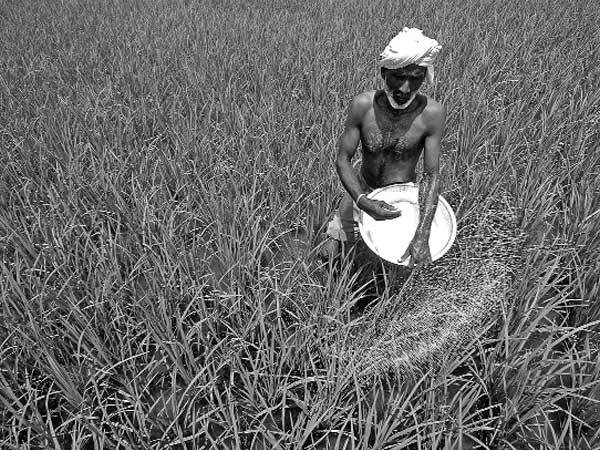 The government bears about Rs 70,000 crore annually as fertiliser subsidy to provide cheaper farm nutrients to farmers. With the government deciding to start paying fertiliser subsidy on weekly basis through a special payment gateway system from next week, farmers across the country can have a big relief as they would not have to wait for months to get their dues. “To make the feriliser subsidy payments easy for farmer, the government will make the payment on weekly basis. The payment will be made to the beneficiaries through Aadhaar card, kisan credit card and voter identity card,” said a senior official in the fertiliser and chemicals ministry. Around 15.55 million tonnes of fertilisers were sold during April-July of this financial year through the point of sale (PoS) devices installed at retail shops under the direct benefit transfer (DBT) scheme. The government takes the load of around Rs 70,000 crore per year as fertiliser subsidy to provide cheaper farm nutrients to farmers. Among fertilisers, sale of locally manufactured urea was 7 million tonnes and imported urea was 1.34 million tonnes during the April-July period of this financial year. Other soil nutrients like diammonium phosphate (DAP), phosphatic and potassic (P&K), single superphosphate (SSP), muriate of potash (MoP) and compost were also sold. “The fertiliser DBT was rolled out in phases from October 2017 onwards and now it is being implemented across India. It is functioning smoothly. There were initial hiccups and we have managed to tackle them,” the official said. On subsidy payout through the DBT scheme, the official said the subsidy is released to the fertiliser companies once the bill is generated online. “The payment is being done within a week now after the bill is generated by the companies,” the official added. Fertiliser stocks rallied up to 18 per cent in the intra-day trade at the Bombay Stock Exchange amid reports that these companies will get weekly subsidies. Shares of Fertilizers and Chemicals Travancore soared 10.98 per cent, Madras Fertilizers 6.60 per cent, Chambal Fertilisers & Chemicals 6.28 per cent and Nagarjuna Fertilizers and Chemicals 4.80 per cent on the BSE. Among others, Zuari Agro Chemicals gained 2.20 per cent, National Fertilizers 2.08 per cent, Gujarat State Fertilizers & Chemicals 1.58 per cent and Deepak Fertilisers & Petrochemicals Corporation 0.77 per cent. “Sale of fertilisers is being undertaken through PoS machines. Up to July, 15.55 million tonnes of fertilisers were sold across the country. About 1.29 million tonnes of fertilisers were sold in April, 2.26 million tonnes in May, 4.63 million tonnes in June and 7.35 million tonnes in July of the current financial year,” he added. Experts feel the move will benefit all fertiliser companies, whether they produce urea or complex fertilisers, and ease their position. “This will be changing the perception and the stock re-rating because the consolidation in the fertiliser industry. With direct benefit transfer becoming weekly, it will reduce the burden on the working capital, which will improve their financial margins. The re-rating of fertiliser stocks may also see PE expansion,” said a Mumbai based expert. In a recent report, rating agency Icra observed that despite the challenges, the new system has increased the overall accountability of stakeholders, including manufacturers, wholesalers, and retailers, besides enhancing the transparency with improved tracking of physical movement of fertiliser.